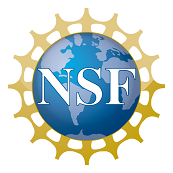 We’re excited to announce that we have been awarded an SBIR grant from the NSF — linked below. The general premise of the grant is that we built it in the lab, but there is so much to research when deploying into a production environment, which is what we’ll use the money to do. This will allow us to go beyond what we’ve been planning to do with the investment money we have received so far. And, this now puts us in position to apply for a Phase II grant, which is much larger. We need to deliver on what we proposed in this one first, of course. Coming from an academic background, we had experience writing grants (the original Stateless research was NSF funded). But, we’d like to especially credit the I-Corps program, which was invaluable in terms of building up the data and story to allow for a successful SBIR proposal.